Roberto Firmino and Mo Salah penned five year deals recently and Sadio Mane will hopefully follow suit. 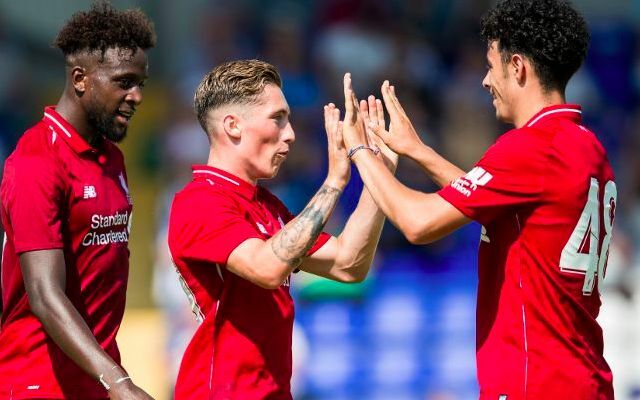 And young winger Harry Wilson has also been rewarded for the promise he showed on loan at Hull last season – with a lengthy deal. Another new, improved contract in the offing for @harrywilson_ as #LFC dismiss fresh loan approach from Celtic. He'll play tomorrow night at Tranmere; another chance to show what he can do for the first team. The Welshman has not been given first-team chances under Jurgen Klopp to date, but will play a big part this pre-season in an attempt to prove he’s got what it takes to thrive under the German. Wilson tore up the Championship during the second half of last term and is a starter for Wales under Ryan Giggs, so is beginning to fulfil his potential. Liverpool have a jaw-dropping front-three already, but little in terms of exciting backup options. If Wilson performs well this summer, he could earn himself a spot on the bench for 2018/19, which will come with plenty of minutes. It’s now or never for the 21-year-old, really.